While remarkable progress has been made over the past decade, new design strategies for chiral catalysts in enantioselective C(sp3)−H functionalization reactions are still highly desirable. In particular, the ability to use attractive non-covalent interactions for rate acceleration and enantiocontrol would significantly expand the current arsenal for asymmetric metal catalysis. Herein, we report the development of a highly enantioselective Ir(III)-catalyzed intramolecular C(sp3)−H amidation reaction of dioxazolone substrates for synthesis of optically enriched γ-lactams using a newly designed γ-amino acid-based chiral ligand. This Ir-catalyzed reaction proceeds with excellent efficiency and with outstanding enantioselectivity for both activated and unactivated alkyl C(sp3)−H bonds under very mild conditions. It offers the first general route for asymmetric synthesis of γ-alkyl γ-lactams. 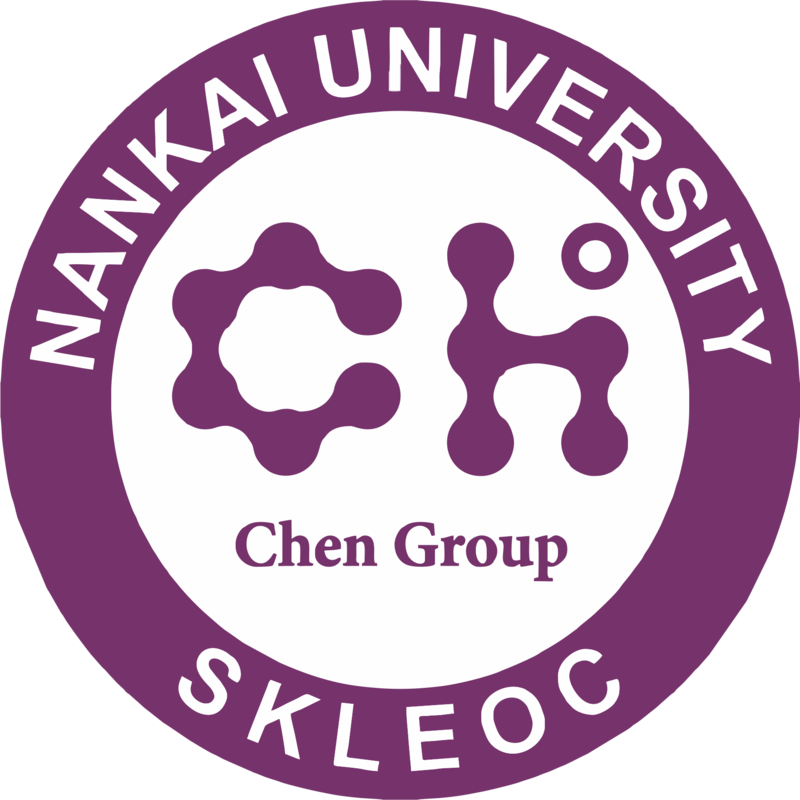 Water was found to be a unique co-solvent to achieve excellent enantioselectivity for γ-aryl lactam production. Mechanistic studies revealed that the ligands form a well-defined groove-type chiral pocket around the Ir center. The hydrophobic effect of this pocket allows facile stereo-controlled binding of substrates in polar or aqueous media. 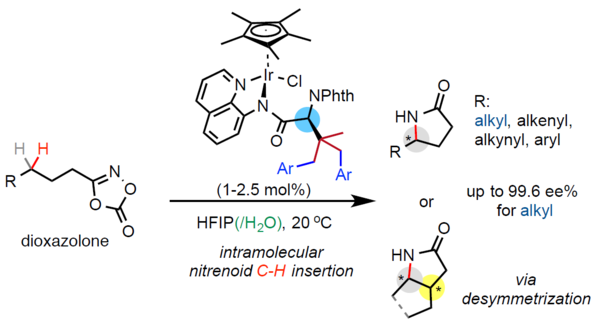 In-stead of capitalizing on steric repulsions as in the conventional approaches, this new Ir catalyst operates through an unprecedented enantiocontrol mechanism for intramolecular nitrenoid C−H insertion featuring multiple attractive non-covalent interactions.